We know what's the best for your car, and we pride ourselves on being the best auto repair and maintenance service in Huntington STA. But not only do we employ our best and give quality service, our rates are also affordable throughout the whole Huntington STA area. We have been doing auto repair and maintenance here in Huntington STA for many years and have the experience to do it right the first time. We are proudly serving the customers of Huntington STA and invite people from all over Huntington STA to come see what makes us the best when it comes to auto repair and maintenance service. Here in Huntington STA, we have an automated computerized system that allows us to diagnose your car right in front of your eyes to check for any auto repair and maintenance that we can do for you. 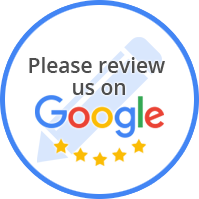 Your One-Stop Source For The Best Auto Repair and Maintenance in Huntington STA. Located in Huntington STA, Great Bear Auto Center use the very latest in auto repair technology to make sure your car is returned to factory standards. Our trusted local technicians have years of experience on handling any auto repair and maintenance service to keep you running trouble free.